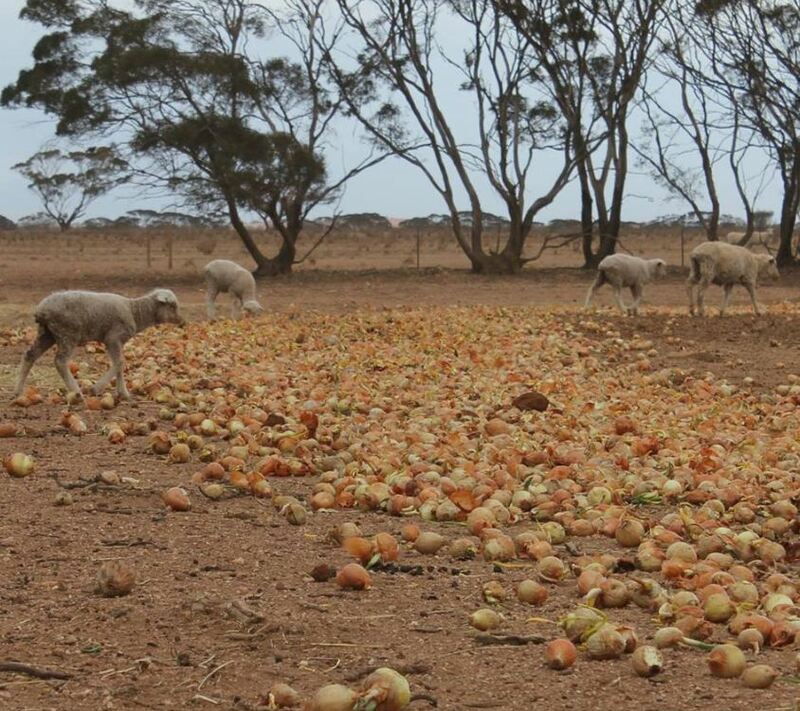 Farmers in South Australia have been forced to feed sheep with onions that were rejected for commercial sale due to a shortage of feed. Besides the energy output of the sun declining, we also have the changes in the earth’s wobble to contend with. The Northern Hemisphere’s last ice age ended about 20,000 years ago, and most evidence had indicated that the ice age in the Southern Hemisphere ended about 2,000 years later. There have been new findings come from a detailed examination of an ice core sample taken from the West Antarctic Ice Sheet Divide for the first time. Previously, the ice cores were taken from the East where the ice is thickest. This new area of the ice is more than 2 miles deep and covers 68,000 years. They have only completed about half so far in the analysis. One meter of ice covers one year, but at greater depths, the annual layers are compressed to centimeters. Evidence of greater warming periods was revealed in layers associated with 18,000 to 22,000 years ago. This is known as the “deglaciation” period and corresponds to the last big climate change. Obviously, that is well before civilization. This real science reveals how our climate system actually functions and it is cyclical in accordance with the laws of physics. Changes in Earth’s orbit changes on the scale of thousands of years. Nevertheless, as the Earth changes its tilt, some regions that were cold become warm and others that were warm become cold. This tends to be a more consistent process that is emerging. West Antarctica is separated from East Antarctica by a major mountain range. East Antarctica has a substantially higher elevation and tends to be much colder, though there is recent evidence that it too is warming rather rapidly. There is clear warming in Western Antarctica in the past decades. The new data obtained from the ice cores confirm that Western Antarctica’s climate is more strongly influenced by regional conditions in the Southern Ocean than East Antarctica has been. The warming in Western Antarctica 20,000 years ago is not explained by a change in the sun’s intensity. What appears to impact the poles more so has been the wobble of the Earth. It is the wobble which changes how the sun’s energy is distributed over the planet. As the Earth tilts, it not merely warms the ice sheet, but also warms the Southern Ocean that surrounds Antarctica. Currently, the axial tilt is in the middle of its range. The third and final of the Milankovitch Cycles is Earth’s precession. Precession is the Earth’s slow wobble as it spins on an axis. Nonetheless, the axial tilt, the second of the three Milankovitch Cycles, is the inclination of the Earth’s axis in relation to its plane of orbit around the Sun. Therefore, the oscillations in the degree of Earth’s axial tilt occur on a periodicity of 41,000 years. The tilt does not sound like much moving from 21.5 to 24.5 degrees. However, at this time the Earth’s axial tilt is about 23.5 degrees. As a result, this provides us with our seasons. Interestingly enough, since there are periodic variations of this angle, the severity of the Earth’s seasons changes dramatically. When we have less of an axial tilt, then the Sun’s solar radiation is more evenly distributed between winter and summer. However, less tilt also increases the difference in radiation receipts between the equatorial and polar regions. The Earth appears to react significantly to a very small degree shift of axial tilt. This will promote the growth of ice sheets. There is a response due to a warmer winter, in which warmer air would be able to hold more moisture, and thus produce a greater amount of snowfall building up the glaciers. Additionally, summer temperatures would be cooler which in turn results in less melting of the winter’s accumulation. Therefore, we do not have a single source that we can attribute to climate change. It appears to emerge as a combination of the energy output of the sun, the wobble of the earth, and the sudden rise in volcanic activity. The problem gets really bad when all three converge.